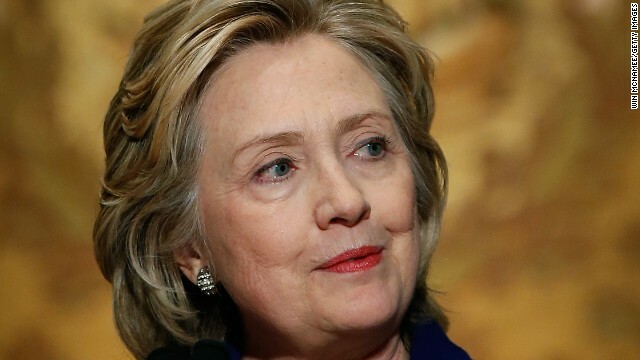 Washington (CNN) - With Hillary Clinton’s memoir due out soon, a close aide will brief Democratic national security experts and communicators on the next round of political scrutiny over the Benghazi terror attack. Philippe Reines, a longtime Clinton adviser and spokesman, will address the group organized by Third Way, a moderate think tank, at a meeting in Washington on Friday. Republicans are moving to intensify their investigative spotlight on the September 2012 armed assault on the U.S. diplomatic compound in eastern Libya that killed four Americans. Clinton and the State Department she headed at the time have been a primary focus of those inquiries, which Democrats contend long ago exhausted any investigative usefulness and are now bald partisan exercises aimed at discrediting President Barack Obama and damaging Clinton, a potential presidential candidate. Reines is expected to detail what the Republican attacks on Benghazi will be as a House Select Committee gets going and how to best to refute them, according to a source with knowledge of the matter. "Some of us don't track these issues all the time," according to the source. "He [Reines] is somebody who can tell people how to understand this, why it is a big deal right now and what is the particular attack. … A lot of people, they just don't follow it day to day. He had to live it at the time." When asked for comment, Reines referred CNN to Third Way. The source at Third Way, however, cautioned against characterizing the event as a cabal of Clinton supporters and advisers. Instead, the source said it is a meeting of Democratic leaders on national security issues, some of who are close to Clinton. "Several current and former aides were invited, along with other national security people," the source said, adding thought that Clinton has "strong support and a history in this community." The group and its meeting, which was first reported by Politico, was first organized during the George W. Bush administration when Republicans seemingly dominated national security issues. So Third Way organized a meeting of Democratic leaders to sit down regularly to talk about national security communication and "brainstorm about how to respond to various Republican attacks." The group met semi-regularly for years and was fairly active around the 2012 election, according to the source. But since Obama won reelection, the group has been dormant. Friday's meeting was characterized as "reviving" the event. The timing is interesting, considering Clinton's much-anticipated memoir "Hard Choices" is set to come out on June 10. With the book's release comes stepped up media appearances for Clinton's aide and advisers – as well as the former first lady herself – where Benghazi will undoubtedly come up. In anticipation, Correct the Record, a pro-Clinton research and communications outfit, conducted media training for different Clinton aides and supporters earlier this month, ahead of the book’s release. Outside anti-Clinton super PACs plan to make the book – and especially Benghazi – their top priority after its release. OK..... "Correct the Record" is a group that comes up with ways to "Spin" things..... or LIE. No Thanks Hillary..... No Thanks. But both Obama and Clinton have already been proven total liars when it comes to Benghazi. Both have also been proven total incompetents and both have still not accounted for their actions and decisions before, during and after the attack. Almost two years after the attack, nobody has been brought to justice and nobody knows what Hillary Clinton and Obama were doing all during the time this attack was happening (7-9 hours). Actually it was Mr. Issa who was caught altering transcripts and selectively editing testimony- he actually is the "proven liar". As far as bringing people to justice- what do you recommend on that front? Maybe making Libya the 51st state? We have minimal official representation in Libya, and they are having a nice civil war. Lastly- the attack lasted more along the lines of 45 minutes- 400 miles away from our protected embassy. It's pretty clear that Ms Clinton failed on this "3 a.m. phone call", both in the leadup to the attack and in its aftermath when she and her team blamed a video protest that no one in Libya that night said had occured. Strategy: blame the republicans. Sure, 'cause like cutting the State Department's security funds (which the GOP did) would have no effects, right? Especially when staff as 400 miles from the embassy. Also- it was the CIA that floated the video story- after all it was their operation. BTW- the event happened around Noon DC time. Try facts, they are enlightening. Every HRC article, it's like Limbaugh, Erickson and Breitbart all had a circle-[good time] and then threw the results at the comment section like some sort of Jackson Pollack Rorschach-esque splatter painting of half-formed irrational thoughts and zombie talking points. Yawn. But both Obama and Clinton have already been proven total liars when it comes to Benghazi. Pure fantasy. The "lie" from the right seems to shift over time. Obama said "act of terror" instead of "terrorist act" and that was somehow a lie? The CIA removed any mention of Al Qaeda from the approved talking points and Rice sticking to them was a lie? The big one of course is the video, saying any mention of that being in any way involved is a lie? There were bad guys there who wanted to attack us, no question, did they use the video as an excuse? Who knows. To say it played no part at all would infer that you personally have interviewed the men who actually attacked and know what exactly was in their minds....which is nonsense. We've been attacked many many times over the last several decades. Thousands of people have been killed. Yet somehow these 4 at what was essentially a CIA outpost are the only ones that are important. Bah. The bottom line is she failed to act on numerous request for additional security that the Ambassador had requested and she was the first person to come out with the lie that the "riot" was caused by "an Internet film." The coordination between State, the White House to try and protect Obama's reelection is going to be exposed for all to see. This "think tank" won't be able to cover this stink up because "What difference does it make?" is going to haunt her. Can you tell me why she would say several days after the attack to the fallen navy seal's father that we were going to arrest the man that made the video. Can you logically tell me why she would say that – and at that point there was no question that the video had nothing to do with it. "That is what we saw play out the last two weeks, as a crude and disgusting video sparked outrage throughout the Muslim world. I have made it clear that the United States government had nothing to do with this video, and I believe its message must be rejected by all who respect our common humanity. It is an insult not only to Muslims, but to America as well – for as the city outside these walls makes clear, we are a country that has welcomed people of every race and religion. We are home to Muslims who worship across our country. We not only respect the freedom of religion – we have laws that protect individuals from being harmed because of how they look or what they believe. We understand why people take offense to this video because millions of our citizens are among them. I know there are some who ask why we don't just ban such a video. The answer is enshrined in our laws: our Constitution protects the right to practice free speech. Here in the United States, countless publications provoke offense. Like me, the majority of Americans are Christian, and yet we do not ban blasphemy against our most sacred beliefs. Moreover, as President of our country, and Commander-in-Chief of our military, I accept that people are going to call me awful things every day, and I will always defend their right to do so. Americans have fought and died around the globe to protect the right of all people to express their views – even views that we disagree with. " i dont know what she accomplished when she was the secretary of states . everything she involved which became the big failures from syria, palestines, lybia. Rove and Aisles should keep up the Benghazi tactic. It isn't working unless you are a Faux "News" junkie. But then again, Rove was certain Mitt would be elected president too! 13 embassies attacked under BUSH and no Committees were formed to look into why this happened. Americans , especially the left, are not very bright. If they were, they could very easily see the manipulation and deception that the Clinton Machine is laying down. " Hillary, Hillary, Hillary!" It will not happen my little "lefty" friends............remember that. As far as bringing people to justice- what do you recommend on that front? Maybe making Libya the 51st state? We have minimal official representation in Libya, and they are having a nice civil war. take your excuses someplace else. it is obama that treats all of this as a crime scene and wants to send the fbi to investigate. and that civil war wasn't going on until obama and friends took out ghaddafi. another mess created by obama, getting libyans killed as well as our people in benghazi. all deaths because of his joke of a foreign policy. None were given previous threats. None had TWO previous attacks. None had their security cut, when an increase was requested. None had people who wanted to help, told to not go help. None resulted in the death of our Ambassador. None occurred over a 7-9 hour stretch. None occurred and had no help sent. None were lied about during and after the event during a Presidential election. Any more facts that need to be explained about why Benghazi is not like any of these other attacks?